A SECOND man has been arrested on suspicion of murder in connection with an investigation to locate missing Bromsgrove student Thomas Jones. A 20-year-old man from Worcester was arrested on Sunday evening on suspicion of murder. A second 20-year-old, who is also from Worcester, was arrested later last night on suspicion of murder. 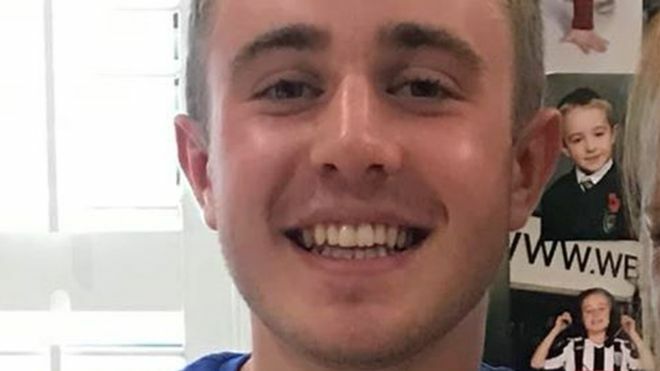 Former South Bromsgrove student Thomas, who moved to Worcester last weekend for university, has not been heard from since the early hours of Wednesday morning (September 19). Superintendent Damian Pettit, from West Mercia Police, said: “The investigating team have been carrying out extensive enquiries and searches since Thomas was reported missing on Wednesday. “Officers are working around the clock to try to locate Thomas. “The community of Worcester has really pulled together and I would like to thank everyone who has come forward with information, as well as to the hundreds of volunteers who have been supporting the investigation. “We are continuing the investigation with a number of lines of enquiry and will keep the community updated with developments in our continued investigation. “Thomas’ family has been made aware of the updates and they are being supported by specially trained officers. Anyone with any information is asked to call West Mercia Police on 101 quoting incident number 431s of 19 September. Alternatively, witnesses can contact independent charity Crimestoppers anonymously on 0800 555 111.